LDD: For those people who are not very familiar with the FMC can you start by defining the organisation’s key objectives? CA:The first and main pillar of our work centres on defending the Revolution, a Revolution that we feel has made possible our achievements. Second, we strive to achieve full participation of women into all fields of society. Third, we aim to create a better position for women within the family and the community as a whole. And lastly, we work to educate society, starting with initiatives that promote non-sexist education in schools. LDD: What are the main initiatives the FMC are working on at the moment? CA: One of the key activities we are working on at the moment involves young women. Since the organisation was founded we have always worked with young women however we now want to strengthen this involvement with the aim of bringing them more deeply into the FMC. The other main initiative we are working on is an educational programme within the family with the intention of promoting gender equality on a private, domestic level. We are also attempting to strengthen political and ideological work among women at the grassroots level in order to maintain the social gains that have been achieved and which now benefit all women. We want to educate women about the realities for women living in capitalist societies, especially during the current economic crisis. LDD: What sort of channels does the FMC have in place for allowing everyday women to express their opinions and discontents? How is feedback from women received? CA: The FMC has a huge grassroots membership which includes all types of women from all backgrounds and age groups. These women organise and gather within their communities and around fifty to one hundred individuals form a delegation which has meetings every three months within its community. These delegations have a specific organisational structure which includes secretaries, leaders and so forth and which in turn have regular meetings with their superior level, known as ‘the block’. This means that the FMC has a particular mechanism through which to receive feedback from the grassroots level, feedback is essentially passed through the structures that are in place. Fundamentally, the leaders of the delegations and blocks have as their main and primary task to characterise their members, their community – the types of jobs these women do, the type of issues that are relevant to their lives, their concerns. With this community diagnosis they are able to orientate or direct their work according to the needs of the area and the women within that area. There are of course still directions from the top, for example at the national level we want that every delegation fulfils the national programme of encouraging women to have a screening for breast cancer. Work on this programme would therefore entail that the delegations identify women who are not checking themselves or going for medical check-ups. However, as not every community is the same it follows that not every community will have the same problems. This is why each delegation whilst following national programmes or guidelines set out by the FMC needs to have a specific, locally based and community orientated strategy. LDD: How does the FMC come to influence policy and law? What is the process for turning ideas into practice? We have a legislative figure within the FMC. The organisation can therefore promote laws through this person. In addition, one of our members is also a national leader responsible for leading The Parliamentary Commission on Youth, Childhood and Women’s Rights - parliamentarians and members of the Council of State are therefore members of the FMC! For this reason we have excellent routes in to influence law. The FMC analyses all types of laws to ensure that they are gender aware and have a gender perspective. We discuss these laws with women at the grassroots level and get their opinions. In addition, whenever the government attempts to pass a law it must first be discussed with the FMC, the government has to listen to and consult with the FMC. This is compulsory. LDD: As with any other country tackling gender inequality there are key problem areas. With regards to this can you tell me how the FMC is practically addressing the issue of attitudes and prejudices, specifically ‘machismo’? How are FMC ideas translated on the ground level? On the subject of cultural attitudes there are both national and local programmes. As mentioned, there will need to be specific plans that suit the particular community in question. Broadly speaking though, the key focus in changing cultural attitudes is based on an educational initiative which involves workshops, seminars, classes and courses in which grassroots leaders teach communities about family relations, gender roles and laws which are there to protect women. Everyone is involved in these workshops and seminars - women, men, and children. We have one hundred and seventy-five ‘Orientation Houses’ which have been created to act as a place where we can undertake training courses with families in the community. We also carry out a project with the Cuban Institute of Television and Radio to promote media messages which show the complex roles women play in our society and which attempt to increase democratic relations within the family. In addition, we also carry out projects in partnership with various organisations, for example we are currently running a project with UNESCO and UNICEF to create materials to hand out to educate communities on the subject of domestic violence so that people are aware of how to identify and to conceptualise violence. It must be said that in order for our work to be successful it is very important to know that we have the support of many organisations and state institutes that work together to promote the advancement of women. LDD: You briefly mentioned domestic violence above, is this a big issue in Cuba? If so, what is the FMC doing to practically address this? We have some cases of such violence but not a high percentage. Cuban women have reached an unbelievable level in society. They have total economic independence and equal rights before the law. Our education system has also ensured that from an early age girls and boys are taught that they have the same rights and duties – this way of thinking is then transferred to university level and later to the workplace. At the public level there is no discrimination against women, there are no decisions made in the public sphere in which women are not consulted, in which their opinion is not accounted for. This sort of public participation gives women high recognition and respect. This respect is then slowly translated into the private sphere. This is why we don’t feel it is necessary to establish a law against domestic violence. Nevertheless we do work to eliminate any type of violence by directing the National Commission for preventing violence against women. We also focus on how violence is conceptualised, and highlight that it is not only a physical phenomenon but also a psychological one. Shouting or talking in an aggressive manner is often not recognised as violence, we aim to educate people to understand that this is in fact violence and violence takes many forms. LDD: Can you tell me how the FMC is practically addressing the issues of female representation at decision-making levels and of prostitution? On the subject of female participation at decision-making levels it must be noted that in Cuba women occupy thirty-right percent of leadership positions, and if we compare statistics from 2008 with those from 2006 we can see that even in this short space of time there has been an increased percentage of women in leadership positions. However, we think that this is not enough, there is more work to be done and this is why we are working to promote women as leaders. Sixty-six percent of professional technicians are women which clearly demonstrates women are very capable within this field and well prepared to be promoted into leadership positions. However, there are two main reasons why women’s ability to move into higher positions is limited. Firstly, traditional attitudes which believe that women are primarily responsible for the domestic sphere have created a false conception amongst women themselves which means they do not feel they are capable of a leadership role and women around them in the workplace also hold this view. Secondly, men hold these traditional views which means they put pressure on the wives to shy away from taking on leadership roles and tell them they have too many domestic responsibilities to take on additional tasks. Essentially, not enough work has yet been done to transform the minds of both women themselves and men. This is one of the challenges - we need to change mindsets and relations between people. There has been a great change in law, however application of law is easy, changes can happen quickly but mentalities are much slower to change. We have to remember that there was five-hundred years of patriarchal tradition based on discrimination of women compared with only fifty years of Revolution. On the subject of prostitution, if we compare prostitution levels in Cuba with the rest of the world it is very minimal. But we also say that if there is only one case of prostitution in Cuba there is reason for concern. In the FMC we believe the subject of prostitution involves the whole of society which is why we have a National Commission of Prevention against Prostitution - it is not just the FMC’s responsibility to monitor and deal with this subject. The Commission is composed of many organisations, one of which is the FMC. One thing we need to highlight is that prostitution in Cuba is not just something that concerns women but men are also involved in this activity as prostitutes. We feel that prostitution is an issue of low self-esteem and a desire for a particular lifestyle. 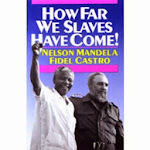 It is not an issue of survival because in Cuba you have access to free healthcare, free education and employment. All your basic needs are met. Cuba, although is a poor country it has tried in the conditions of a historical blockade to guarantee a basic standard of living to every member of society so that everyone can live with dignity. Selling your body for a pair of shoes is therefore not because you don’t have shoes but because you want an expensive pair of shoes. One specific area the FMC has focused on with regards to prostitution is at the legislative level and with the conceptualisation of the phenomenon. For example, ten years ago the FMC proposed a modification to the Penal Code with reference to the role of the pimp which has culminated in the pimp being the focus of sanctions, not the prostitute. We are also aware that prostitution is very linked to tourism and so we highlight the multiple dimensions of prostitution which encompass not just women and pimps but those who work in hotels and take money in exchange for giving ‘clients’ rooms to be used for prostitution. Essentially, we try to highlight the network of people involved in the industry and every individual who profits from selling women’s bodies. LDD: What sort of initiatives are you working on with regards to women in workplace? What are the main issues still to overcome regarding this subject? Taking into consideration that women and men have equal rights in public life we therefore have equal concerns – good conditions, health and safety, protection in the workplace. We do not have special problems, but common problems. 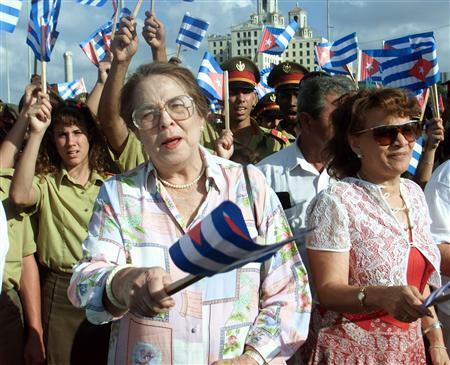 Women enjoy equal pay for equal work and are making excellent progress in the workplace - so much so that some men say that they need to form a Federation of Cuban Men! Essentially, women have the recognition and respect of fellow workers. This is especially the case amongst new generations as they have received a gender aware education since nursery level. Teachers ensure that at play time it is not just the girl who plays ‘the housewife’ for example, there is a conscious effort to play out new gender roles during play activities and because these children have grown up with this new concept of gender relations and family life such practices become common place. One thing that we have worked hard to change is legislation regarding maternity leave which we were able to successfully modify in 2003. This law now states that women are guaranteed a total of eighteen weeks paid leave with an extra two weeks if the birth is delayed. The Bill also includes the option of an extended leave at sixty percent pay until the child is one year old, with the right to return to the same job at the end of the leave - an option which can be taken by the mother or the father. The father therefore has the same rights as the mother, so if the woman earns the highest wage or has a high level position she can return to work. LDD: How are women's voices represented in trade unions? We don’t have the same sort of women’s conferences that exist within UK unions. Essentially this is because we feel that they are not needed, women are fully integrated into unions – this point can be exemplified by the fact that fifty-four percent of trade union general secretaries are women. However, as part of the CTC we have what is known as The Association of Innovators and Rationalisers. This association was created during the Special Period to give workers the chance to develop new technologies or resources to help during the collapse of the Soviet bloc. Within this association we have a forum in which we celebrate female inventors with the intention of stimulating the creative abilities of women. In addition to this forum we also have integrated into our union structures specific departments that work with women to protect their rights and to ensure that what has been written into law and policy is reflected in reality. On top of this we also have a Female Employment Commission, headed by The Ministry of Labour and Social Security, that works to combat discrimination. LDD: Cuba is known for having made excellent progress with regards to the position of women in society since the Revolution, why do you think this has been achieved? These achievements have been made possible because of the political will of the Cuban government to promote and advance the position of women since the beginning of the Revolution. We have worked in unity with the government and have common objectives. When we lived in a capitalist system the main victim, the most discriminated group in society was women. And if you were black for example, you suffered a double discrimination. It is only because of the Revolution that it has been possible to have the results we have. This is why we defend the Revolution. To give a comparison, after the triumph of the Revolution women only comprised eight percent of the workforce, there were high levels of prostitution and machismo. The first organisation established by the government was the FMC which Fidel himself advocated. Since that moment possibilities opened up to women, to be educated and to work. The position of women in Cuba changed dramatically, there was an explosion of activity. In fact there is a phrase coined by Fidel which says that the dramatic changes that took place were like a ‘Revolution within a Revolution’. This is why Cuban women defend the socialist system - it is the only system that has allowed us to be human beings, to be people, to be workers, to be recognised as leaders. Without the Revolution I myself would not be here in this position. LDD: The FMC celebrates its 50th anniversary next year. What would you say are the FMC’s biggest achievements since it was founded in 1960? There are many things that we have achieved over the years. One main achievement has been the integration of women into all spheres of society allowing women and men for the first time to begin to share equal opportunities and possibilities. In the past women were in the shadows but after fifty years of Revolution women are now active participants. It must be noted that a country which has a government with the necessary political will is very important, if you don’t have the support of your government you cannot move ahead. What are the main challenges or barriers in addressing the issue of equality between men and women in Cuba? The main thing impeding the advancement of women is the blockade. The biggest impact of the blockade has been on the family, and in turn on women as mothers. In addition, there is an ongoing challenge to change the way of thinking between men and women and to redefine gender roles. We have to shift society’s mentalities. You mentioned the blockade above, how exactly has it affected women? The blockade has restricted our access to resources, to food and medicines. Mothers, despite our attempts to change traditional gender roles and cultural attitudes, suffer the brunt of this. We do have alternative trade routes and alternative support, i.e. from countries such as Venezuela and China and we don’t have the same problems that existed in the nineties but we still have difficulties in acquiring the main essentials. The blockade also impacts women as scientists or researchers and in sports for example – they are denied US visas, they don’t have the necessary equipment and resources. Therefore there are problems in every sector, everything is affected. Without the blockade the development of women would be even higher. All achievements we have made so far have been solely because of our own effort and because of our government. What are your future plans and goals? What is on the agenda? We will strive to continue strengthening our work with young women and with families and on the subject of gender relations. We will also continue work in all areas, many of which have been mentioned throughout the course of this interview. In addition, in our recent Congress we approved to change the logo of the FMC (which is currently a picture of a militia woman holding a baby) to an image of Vilma Espin, FMC’s ex-president. We feel that she represents all women and has a wide and integrated image. She has been an example of what women can do and what women can be and so this image is a better reflection of our current realities. What do you hope to get out of this visit to the UK? We aim to promote the advances of Cuban women and to celebrate the progress Cuban women have made during the last fifty years. This tour allows us an opportunity to celebrate the anniversary of the Revolution. In addition, we hope to give an accurate picture of the position and lives of women and in turn dispel any myths that may exist in the UK. We also wish to exchange ideas and knowledge with other women and to find out the current concerns and challenges women in the UK face. To further our work it is also vitally important to know how other women work and organise and this visit provides us with a good opportunity to widen relations and partnerships. 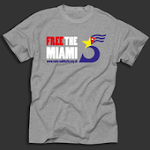 Lastly, we are here with another purpose which is to publicise the current situation of the wives of the Cuban 5 (Miami 5) who are being denied the basic right to visit their husbands in US prisons. We want to share this injustice with women in the UK in order to maximise support and solidarity with these women.